Yeastar S100 IP PBX is a cost-effective business communication system with a base configuration of 100 users and 30 concurrent calls and can scale up to 200 users and 60 concurrent calls. 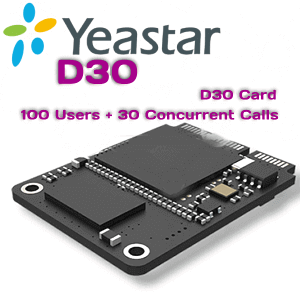 Yeastar MyPBX S100 built with responsiveness, accessibility and productivity. 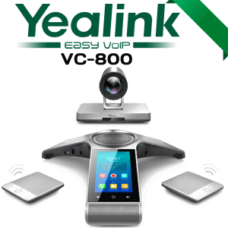 S100 work most effectively as a office telephone system.The flexible S100 comes with support for analog ports, ISDN BRI, E1/T1/PRI, and GSM networks.With Yeastar S100, you have invested in a solution that evolves with your company at the same time lower the cost of initial investment. IP PBX System is used to setup an entire telephony system that capabilities on VOIP. In case you are on the lookout for an entire personal telephone system inside your workplace with multiline help for exterior customers, you may select these S-Collection IP PBX System from Yeastar. MyPBX S100 in Dubai is a totally built-in collaborative wealthy, completely designed IP Telephone System for Workplace.Yeastar MyPBX s100 geared up with a spread of built-in options to optimize your enterprise communications.CRM Telephony Integration, Cloud Name Middle integration, Voice Mail, IVR, Name Recording, CDR, eMAIL Integrations and LDAP contact administration are among the license free options coming with Yeastar S Collection. Yeastar S100 IP PBX designed for small and medium-sized organizations. It supported as much as 500 customers and constructed with the newest know-how. All of the fashions come underneath S-Collection present distinctive value financial savings and productiveness. This product is protected for hassle-free implementation and offers wonderful efficiency. The most recent distinctive modular design of this S-series PBX make it extra engaging and absolutely it proofs your funding alternative.